Be Vigilant!! George Soros Has A Second Ticket To A Screening Of ‘Baby Driver’ And Just Declared That The Most Violent Leftist Will Get To Go With Him! WAKE UP! These trying times demand vigilance from all true patriots! George Soros did not silence us when he paid antifa activists to assault the Christian crusaders peacefully expressing their love for America in Charlottesville last weekend, but that does not mean we can let down our guard for even one second. 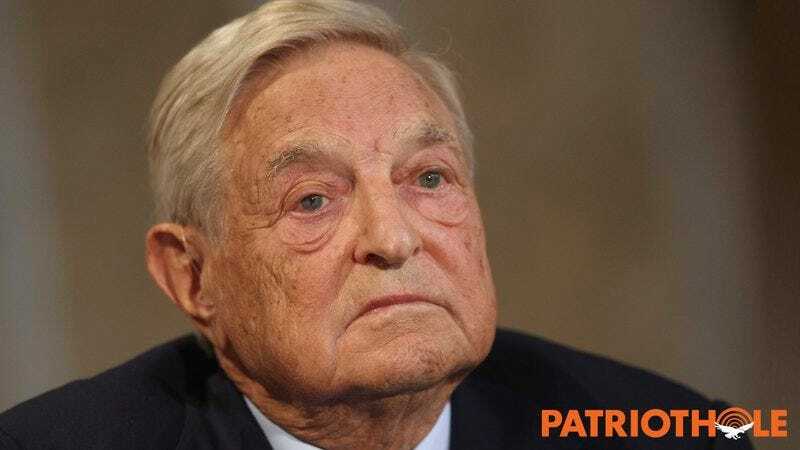 The enraged beast Soros is now stepping up his shadow war on America in a new and terrifying way: He’s got a second ticket to Baby Driver, and he just declared that the most violent leftist will get to go with him! Lock your doors and check your clips, because leftist hell is about to break loose out there. We know with blood-chilling certainty that Soros has used his unlimited globalist resources to purchase two tickets for Edgar Wright’s high-octane heist thriller, and is dangling one—FOR FREE—to the alt-left extremist who can spill the most Christian blood and vandalize the most American small businesses. That Hungarian jackal might as well be tossing chum over a shark tank, because the left is going to whip itself into a berserk anarchist frenzy for the chance to see their precious auteur’s latest love letter to cinema while seated at the left hand of their lord and dark master! Patriots, if you thought the alt-left was violent before, wait until they’re competing in a battle royale to rip hardworking citizens’ guts out and form them into piles, just to see if Ansel Elgort really has leading man chops! Our intel confirms that Soros HAS seen Baby Driver once already and can tell the “winner” of this perverse contest the perfect time to go to the bathroom without missing too much, undoubtably sweetening the pot for the millions of liberal psychopaths gearing up for bloodshed. And let’s be clear, a river of carnage is exactly what Soros wants, simply because his black heart delights in bringing America to its knees, and because he feels weird about seeing a movie alone. This threat is REAL. The violence is IMMINENT. The seats are RESERVED, and they RECLINE. The most terrifying part? Soros bought tickets for an 8:20 p.m. screening TONIGHT. He may already be on his way to the theater with a Ziploc bag full of CVS Sno-Caps, laughing his European laugh as his brainwashed pawns descend like piranhas on unsuspecting American meat. If you value your life, don’t let your guard down or your finger off your triggers until at least one hour and 53 minutes after showtime. Even better, gather with your Christian brethren and patrol the streets, rifles in hand, safeties off, to ensure that savage leftists who pine only for a sip of Soros’ LARGE Diet Dr Pepper don’t toss a grenade into your local Cracker Barrel to please their twisted idol. And for god’s sake, stand your ground. The only thing that may stand between a kill-crazed antifa sicko and bravura performances by Hamm, Foxx, and Spacey might be you! Be vigilant, patriots, and fight the Globalist cabal with all you’ve got!